Black Friday, Cyber Weekend, Pre Christmas Sales… Whatever you want to call it, the busiest shopping week of the year is here. Its strange, but growing up in the UK we never had Black Friday but over the last few years the sales that coincide with November pay day (the last pay check for post people before Christmas) has gotten even bigger and crazier. Many retailers have already started their sales and with so much happening all around, its easy to overspend, end up buying yourself a bunch of stuff you don’t need, buying something you think is on offer and then seeing it cheaper else where! Boo! or the worst one, missing out on an amazing deal! So to make things a little easier, along with listing my favourite and best deals on fashion, beauty and mummy stuff below I thought I’d also include some tips to make sure you make the most of this Black Friday! I'll be updating the best deals throughout the week so keep an eye out and keep checking back. Tip One - Make a list of the things you need. Its easy to buy something in the spur of the moment because you see its on offer or cheap and you just can’t resist it. This is the main reason we end up with items in our wardrobe that we end up not really liking or wanting and we may never even wear! Not only are you wasting money, but you could be depriving someone else out there who really wanted and would have worn the item you just bagged! lol Set a budget - once again this sounds simple enough but how often have you gone onto a website which has super affordable clothes or walked into a certain high street store and spent a lot more than you intended just because things were cheap? Thats why its super important to set a budget, whether that 50 pounds or 500, once you know what you want or need to buy then use the items to work out how much things should cost. If I want to buy a new pair of over the knee boots for example, a good investment pair that will last a few years, I should find out what the normal retail price is and set myself an 80% budget of that and then try and find it for as heap as possible - after all thats the point of the sales right, to save money not to spend more! This leads me to the next point. Whilst it is tempting to add everything thats on offer to your basket, always choose quality over quantity. Its better to buy one black turtle neck thats slightly better quality and will last longer than buying two, which are both cheaper but not great in quality and wont last more than a few washes! Tip Three - Shop for presents. The sales are also a good time to stock up on birthday presents and gifts for anything you have coming up. Best way to tackle this is to make a list of who you need to get stuff for and a few things on there that you could potentially get them, this way you're keeping your options open if something is not available. Most retailers are advertising their offers in advance, either on their website or if you sign up to their newsletter. As such, a way to make life easier is to list the offers in one place (you can use the guide below to help you as well), and then you can do a quick comparison of the offers and which ones are best for you. Check them out in order because the last thing you want to do is waste time jumping from one website to the next, comparing things and then missing out on that bargain! If you accidentally end up throwing some of these rules out of the window and splurging on things you don't necessarily need or finding something cheaper else where, check what the retailers return policy is and send the items back. Don't let things sit in your wardrobe if you’re not going to wear them! They have 3 for 2 on all Rimmel products - click here for link. Elizabeth Arden is also 3 for 2 - they have some amazing skincare products so this is a perfect time to stock up. 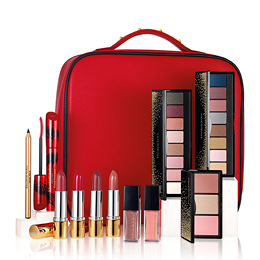 They are also offering this gorgeous Holiday gift set which is worth 260GBP for only 58GBP when you spend over 40GBP on any of their other products. Beauty Bay have up to 30% off site wide. I've shared some of my fave bargains below. Topshop currently have 30% off puffer jackets and party dresses. Keep checking back as I think they could have different offers on throughout the week. NA-KD have 30% off everything - they have some gorgeous winter wear so defo worth a check. I've showcases some of my faves below, but they have so much more on their website. Click here to check it out. Miss Selfridge have up to 50% of all Jeans, and theres 100 tops going for 15GBP! The holidays are a word, which fulfill every person with a lot of joy and excitement. Everyone wants to spend their holiday in a different style. This will make them feel so much special and excited. This will fill them with excitement and thrill.